Adewale Akinnuoye-Agbaje promises multiple underwater scenes for his Killer Croc in Suicide Squad! Although this year’s Batman v Superman: Dawn of Justice marked the first appearance of Ben Affleck‘s Batman, the film also established that his Bruce Wayne had been acting as Gotham City’s Dark Knight for decades. When the big screen DC Comics universe expands with David Ayer’s Suicide Squad this August, we’re going to learn even more about Batman’s past thanks to the big screen debut of a few classic Bat-villains such as Adewale Akinnuoye-Agbaje‘s Killer Croc. Akinnuoye-Agbaje’s research into Killer Croc pulled in material from throughout three decades of stories featuring the Batman foe and even looked at real-world crocodiles to study their movements. Speaking of death rolls, Akinnuoye-Agbaje promises that the film’s storyline will definitely feature Killer Croc in the water. Suicide Squad also stars Margot Robbie as Harley Quinn, Jared Leto as the Joker, Will Smith as Deadshot, Joel Kinnaman as Rick Flagg, Jai Courtney as Captain Boomerang, Cara Delevingne as Enchantress, Karen Fukuhara as Katana, Jay Hernandez as El Diablo, Adam Beach as Slipknot and Viola Davis as Amanda Waller. There’s also mystery roles for Ike Barinholtz, Scott Eastwood, Raymond Olubowale, Alex Meraz, Jim Parrack and Common. 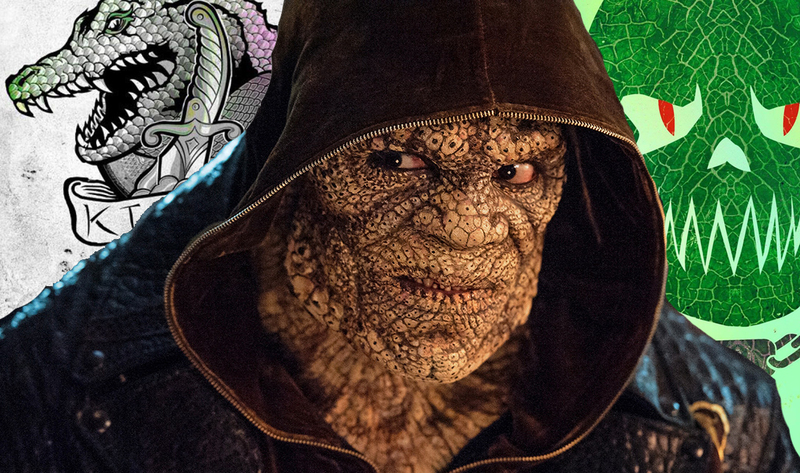 Are you looking forward to Adewale Akinnuoye-Agbaje take on Killer Croc? Let us know in the comments below!